Habitat of a Honey Bee: Where Can You Find Bees? Bees from the Wyck apiary fly into their bee hive. 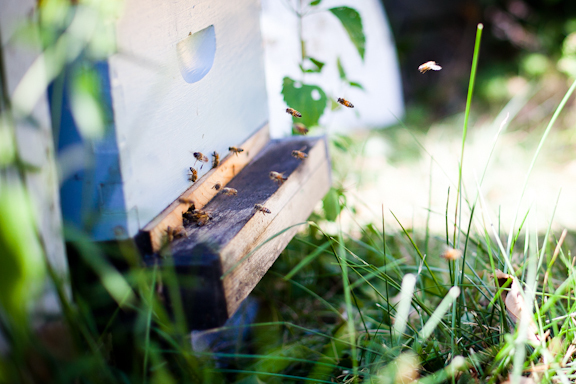 Honey bees are everywhere – in gardens, farms, parks – even in your own backyard. They are found on almost every continent and can exist in both climates and temperate climates because they are able to adapt relatively easily to their habitat. But where do honey bees thrive the best? Right where’d you expect: bountiful meadows and orchards where there are an abundance of flowers and other plant life. Though open fields full of flowers and crops are an ideal habitat for honey bees, they can also be domesticated. Domestication of honey bees is done primarily for the collection of honey for human consumption. To learn more about how honey is harvested from the hives of bees, be sure to visit the 8th annual Philadelphia Honey Festival this fall, on Sept. 7, 9 and 10.